Emeka Ogboh in The Tanks at Tate Modern © Tate, Seraphina Neville. What links stock exchanges worldwide, an ancient Greek lament and Bob Marley? 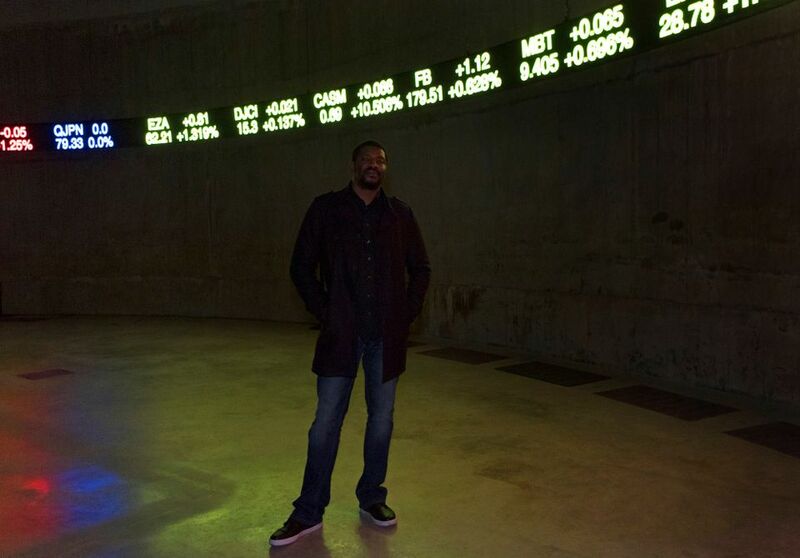 Look no further than Nigerian artist Emeka Ogboh’s installation The Way Earthly Things Are Going, which was unveiled this week in the Tanks at Tate Modern. The all-encompassing piece, first seen at Documenta14 in Athens earlier this year, incorporates companies’ data streamed live from 80 stock exchanges. In tandem, an ancient Greek lament, entitled When I forget, I’m glad, recorded specifically for the piece, is played through 12 speakers (the song reflects on exile and forced migration). The work was commissioned by Modern Forms, which is described on its website as an “international, contemporary art collection and an editorial platform”. Modern Forms was founded by Hussam Otaibi, the founder and managing partner of Floreat Group which is involved in wealth management and private equity. Otaibi plans to open a sculpture park at his estate in Berkshire (incidentally, Ogboh’s title is taken from a lyric in Bob Marley’s So Much Trouble in the World).